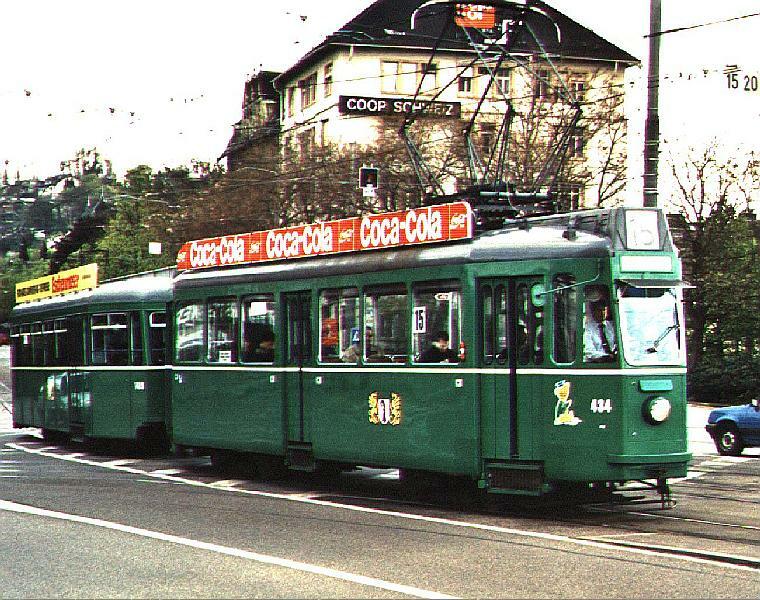 BVB - or B.St.B. 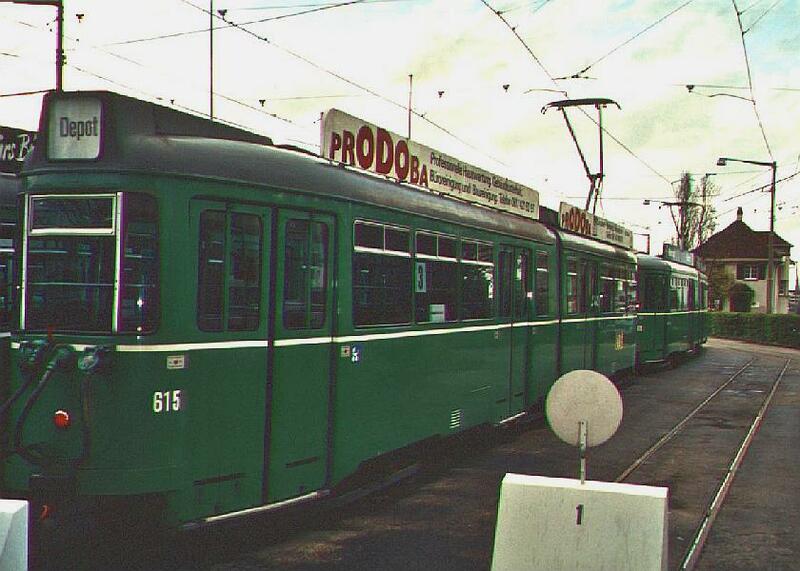 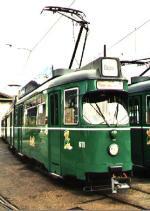 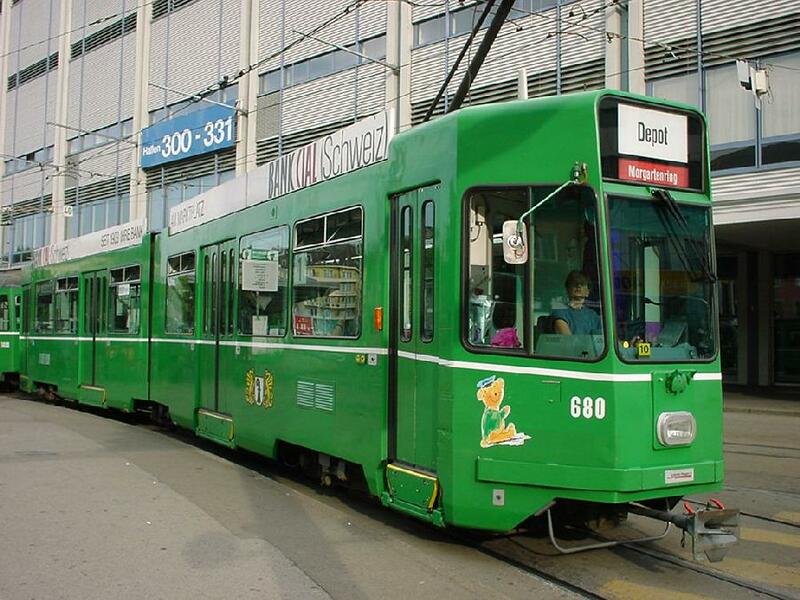 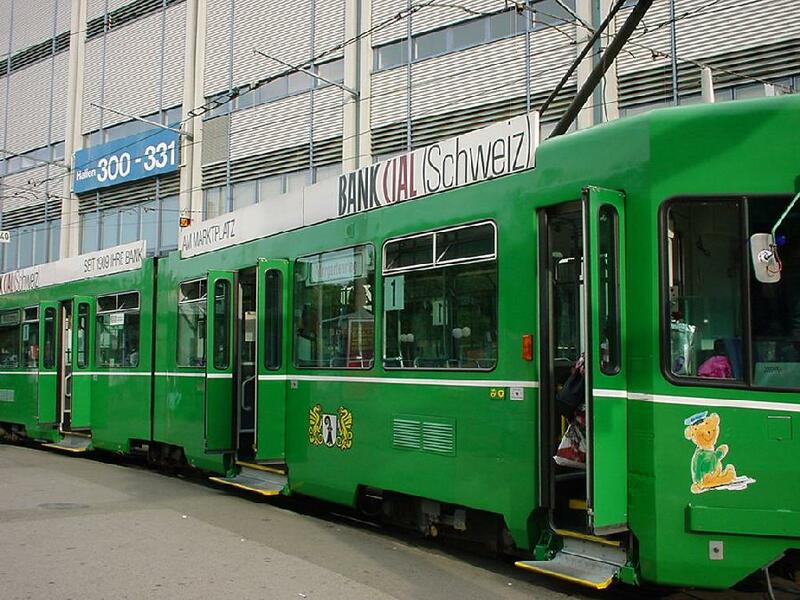 as it was in 1895 when it was founded - is the company of the "green" trams of the city of Basel, owned by the City of Basel. 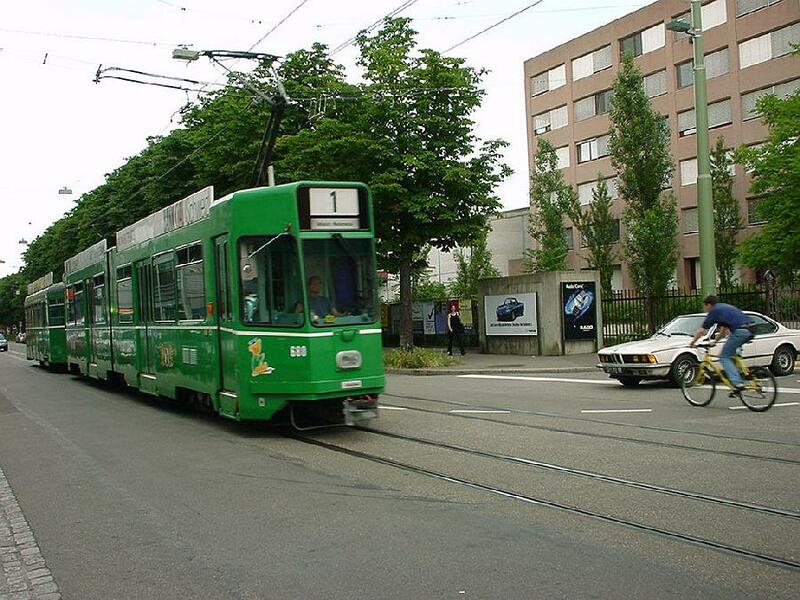 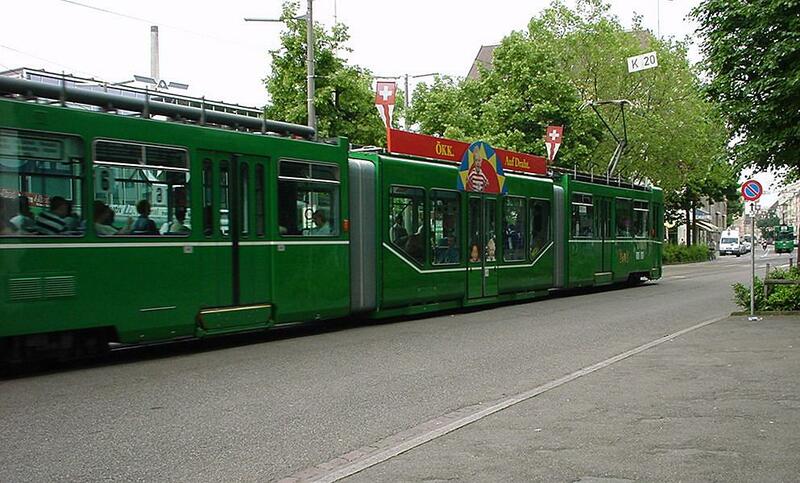 Basel is a peculiar city with two tram companies operating on the same tracks. 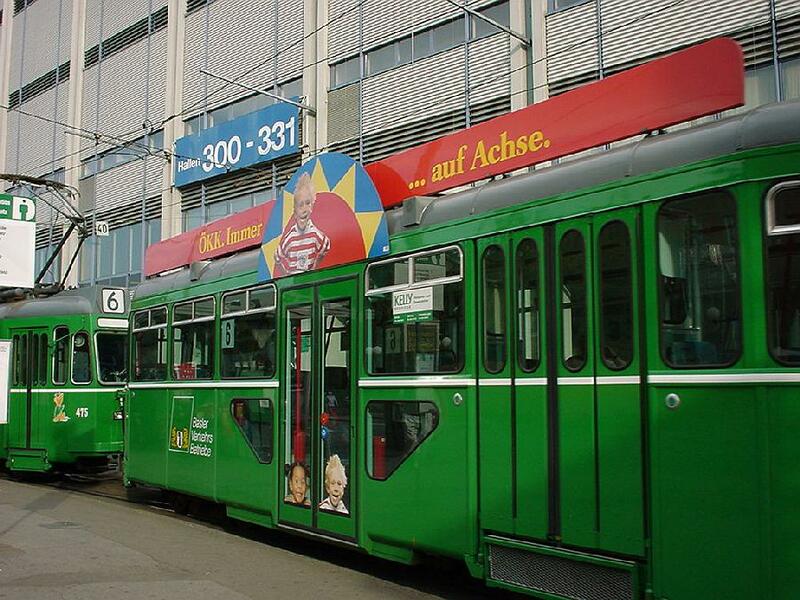 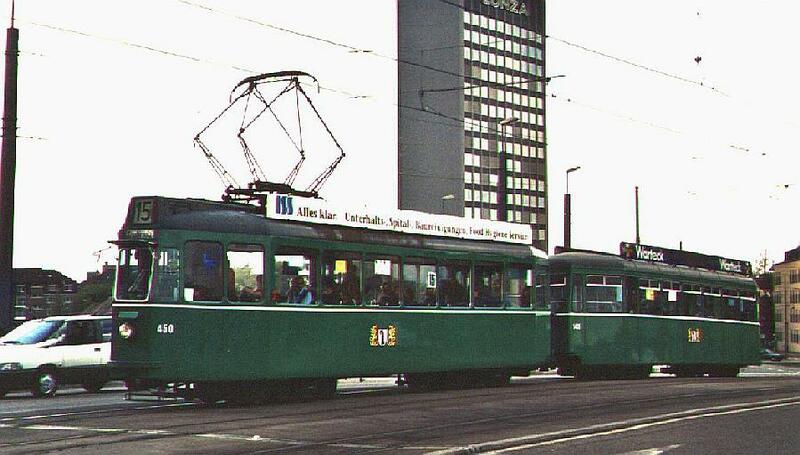 The "city" trams of BVB are green and the Baselland BLT trams, which operate a couple of longer lines from the city out into Kanton Baselland are yellow and red. 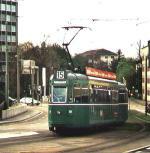 BVB has a lot of traditions and it used to have a network which reached far into the neighbouring country of Germany still at the time of Hitler�s "Third Reich": the BVB network reached from Basel both the city of L�rrach in Baden-W�rttemberg and also St. Ludwig (nowadays St.Louis) in Elsass, now Alsace, France, as well as over the so called BUeB, Basler �berlandsbahn over to almost Liestal, today�s capital of Kanton Baselland. 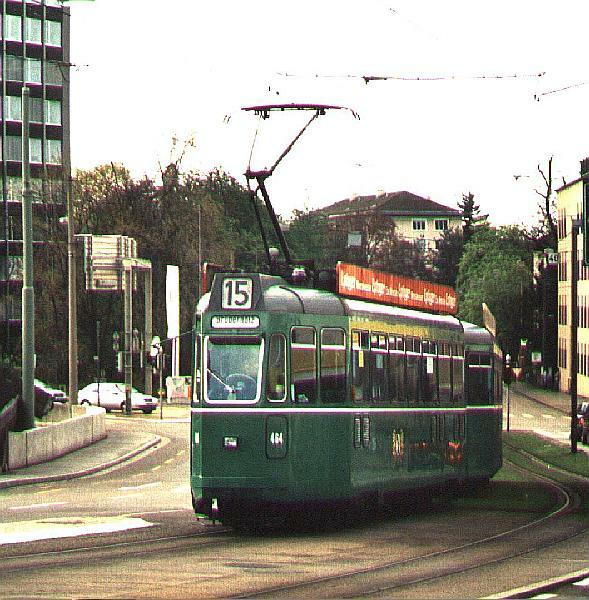 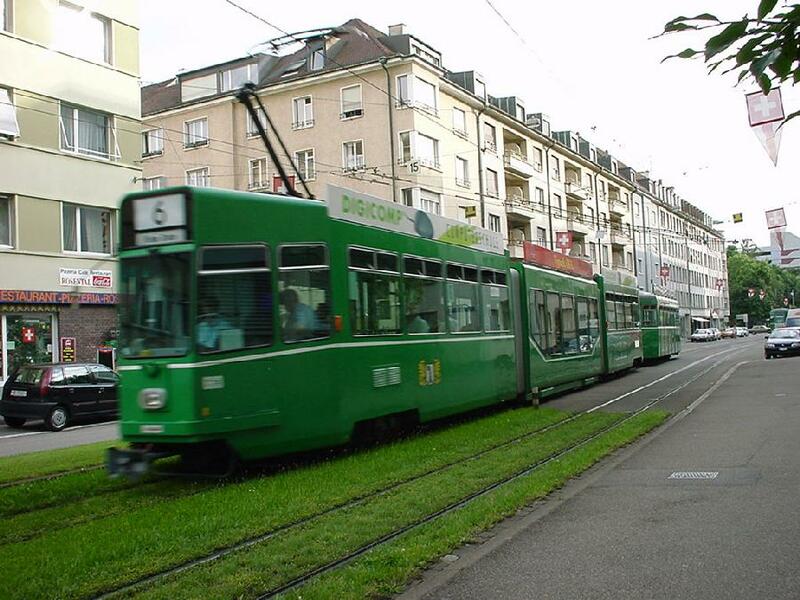 Today Basel is a small town with a highly developed tramway system. 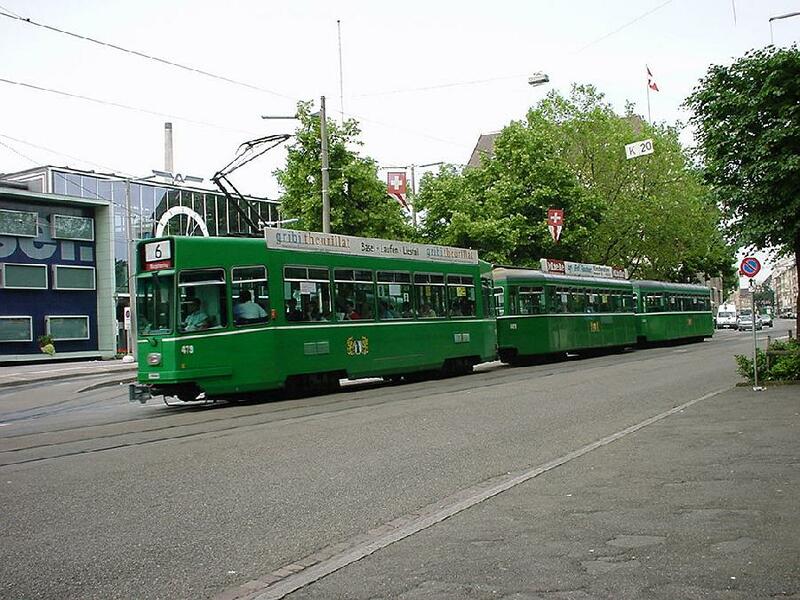 Car traffic in the old city has been made almost impossible, with a deliberately strange traffic policy which tries to push people to use public transport. 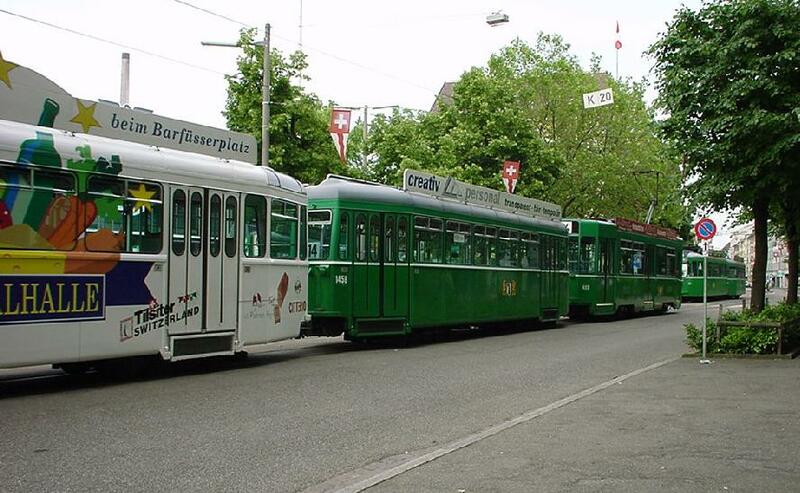 Car parking is all but hopeless, but at least the writer has never seen such an extensive and efficient tram network in such a small town as Basel.